“For the whole length of its reign the Romanov imperial dynasty remained a foundation of the Russian statehood. At present Russia is undergoing a complicated process of regaining its glory and worldwide influence. I am sure that in this historical moment the Romanovs would not stay away from all processes that are taking place in Russia,” Petrov writes in his letter. The politician suggested that this move would help to smooth political controversies within Russia and help to restore the “spiritual power” of the nation. Petrov added that he and his colleagues from the Leningrad regional legislature would very soon develop and draft a bill “On the special status of representatives of the Tsars’ family” that would give some guarantees to the returning Romanovs. He also said that the royals could use one of the palaces that belonged to them before the revolution and that now remain vacant or are misused. “To this day a lot of wonderful Tsar’s palaces near St. Petersburg are either empty or used not according to their destination. I think if one of these palaces is used as an official residence of the Romanov family it would only be for everyone’s benefit,” the lawmaker said in comments to Izvestia daily. He noted that another option was to settle the royals in the Livadia Palaces in Crimea. The head of the Chancellery of the Russian Imperial House, Aleksandr Zakatov, told Izvestia that some representatives of the dynasty were ready to move to Russia. However, he noted that Grand Duchess Maria Vladimirovna held a high post of the head of the imperial house and therefore her return should be decent and solemn. “She has no claims for property or political privileges and powers, she only wants the imperial house to become a historical institution and part of the national legacy, similar to royal houses of many other countries. And this recognition must be manifested in a legal act,” Zakatov said. Currently there are two major competing branches of the Romanov dynasty – one is headed by Grand Duchess Maria Vladimirovna and the other by Prince Nikolai Romanovich. Their representatives often visit Russia and take part in various events, but so far none of them have made any political claims. 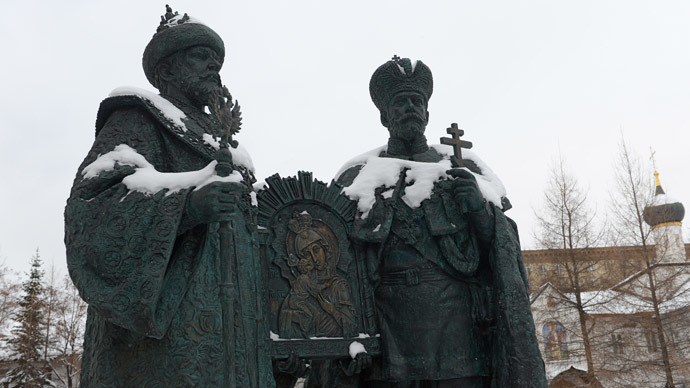 An opinion poll conducted in 2013 in connection with the 400th anniversary of the Romanov royal house showed that 28 percent of Russian citizens would agree to the rule of Tsars, but only 6 percent said that this modern monarch must be from the Romanov dynasty. About 13 percent hold that a contemporary Russian politician could become a new Tsar and suggested a nationwide referendum to decide on the candidate. The majority of the people - 67 percent - said that Russia should leave monarchy in the past and remain a democracy.